When one thinks of costs recoverable if they are injured at work, they tend to think of immediate medical bills – expenses that come up immediately following an accident or diagnosis. However, one of the areas of medical care that accounts for the most expense in Florida is rehabilitation, be it either physical or vocational. If you are injured on the job, you may wind up needing rehabilitation, and it can sometimes be a struggle to get your employer’s insurance to pay for it, even though it is necessary. Section 440.491 of the Florida Statutes states the general position of Florida courts, in that rehabilitation is encouraged in most cases, because it helps the worker return to work as quickly as possible. If a worker has been on temporary or permanent disability for a certain period – usually after 60 days – and has not yet received care from the employer’s insurance company, they will do a ‘reemployment assessment,’ designed to determine the feasibility of the employee returning to work. If rehabilitation is deemed to be necessary, the law grants the employee the opportunity to consent or decline (some people do decline the option of rehabilitation), and if consent is obtained, the case is transferred to a rehabilitation provider chosen by the carrier. The decision is, unfortunately, entirely up to the carrier, with very little provision to change in the absence of serious misconduct. If the provider submits a rehabilitation plan to the insurance carrier which is then approved, the worker must at least begin rehabilitation with the chosen carrier. It is not uncommon to debate with your employer’s insurance carrier or with a rehabilitation provider as to what manner of rehabilitation your injury actually requires, especially if your accident has left you with permanent disabilities. While physical rehabilitation is intended to help an injured worker get back to their job, vocational rehabilitation is for those whose injuries will preclude such a thing. However, some carriers will contest whether a person is actually permanently disabled, or will explicitly state that workers’ compensation does not cover vocational rehabilitation in particular. The Florida Workers’ Compensation Health Care Provider Reimbursement Manual states that rehabilitation will only be covered at all if two conditions are met: (1) if the care is held to be necessary by the relevant attending physician, and (2) that physician provides the requisite referral or prescription. However, it is not uncommon for you to be asked for more documentation, especially if your injuries are such that you require rehabilitation services up to or beyond the statutory period where those services will be covered by your employer’s insurance. Making sure you know your rights versus both the carrier and the rehabilitation center can make a significant difference to your future. Sustaining any injury is difficult. Sustaining an injury on the job can be demoralizing. 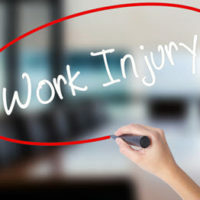 Sustaining an on-the-job injury that requires a long period of rehabilitation can be too much for many people to handle. The zealous Winter Park workers’ compensation lawyers at the Hornsby Law Group can help you understand what you may be entitled to, and what your rights are. Contact us today to set up an initial appointment.